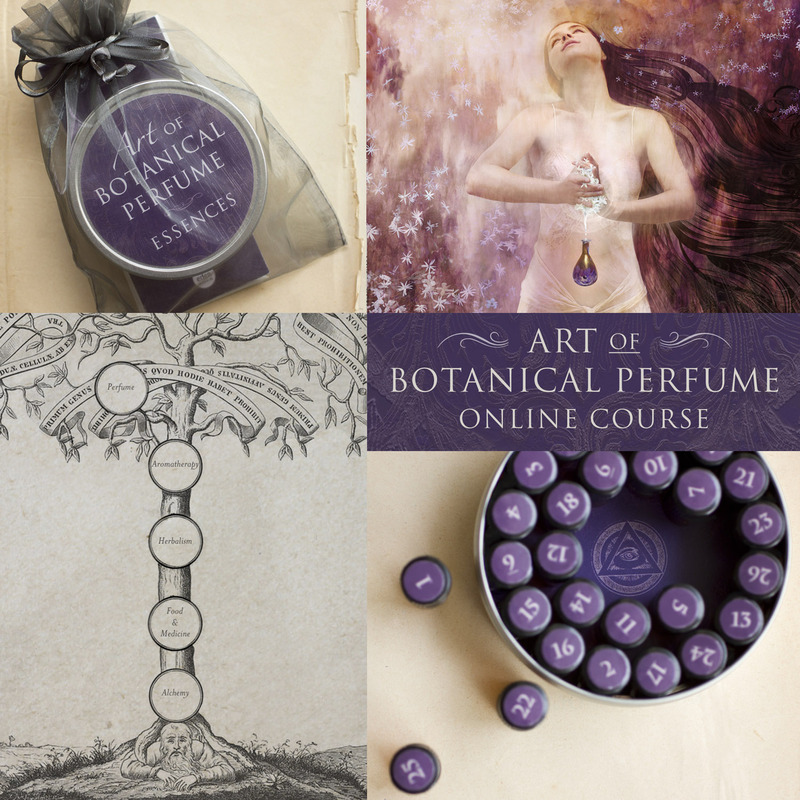 In May, after a rather surreal conversation via email, the Art of Botanical Perfume online course was temporarily closed for enrollment. Slowly (in between packing, selling the house and moving lock, stock and barrels to another state) I have been revamping the material for a relaunch. In the ART OF BOTANICAL PERFUME Roxana shares how the craft of botanical perfume is essential to our modern day because it holds the seeds of Alchemy, Herbalism, Aromatherapy and the Arts—while still serving the Earth and positively affecting change in the human being. The artistry of the creation of natural perfume contributes to a sustainable way of life that is part of organic farming as well as the evolution of humanity’s spiritual consciousness. Perfume making is a fine art that goes beyond reading books and putting together suggested scent-pairings; it’s about truly experiencing the complexity and nuances of volatile essences, understanding what they mean to you and where they came from; as well as the comprehension of how to create a fragrance based on your own personal aesthetic. By the end of this course you will have a foundation to create unique botanical perfumes and a template to continue building your skill set. Have you ever wondered where the word “Perfume” came from? 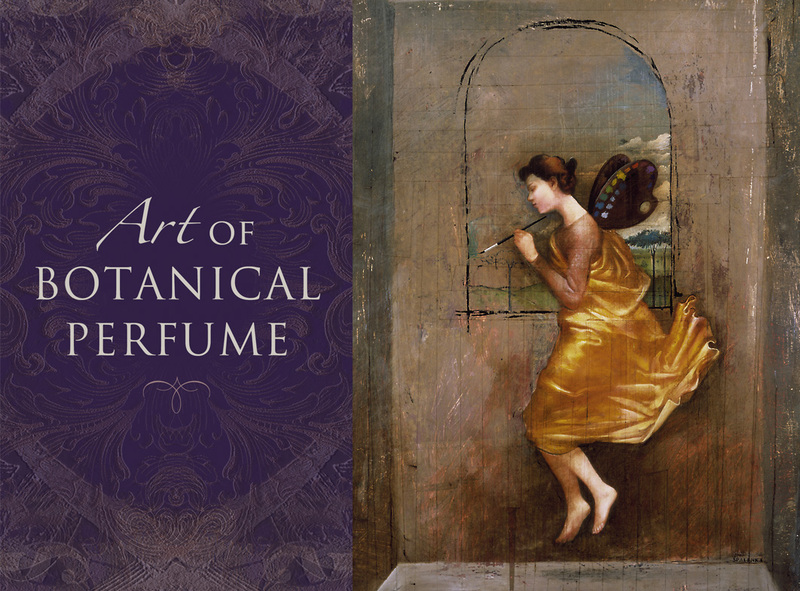 In this module Roxana defines the word and gives an overview of the different palettes currently used to create perfume, knowledge on the complexities of this ancient practice and help you understand its depth before proceeding to the history of the industry. 2. History of Perfume Module: The “wholistic” telling of this story begins with the first aromatic molecules which came from the conifers. Discovered by the First People who noticed mood shifts and decreased insects while burning this plant material, the history of humanity has progressed in unison with our utilization of fragrance. In this module Roxana will share how the crafting of perfume stems from ancient fragrant preparations that were used for spiritual rituals and physical remedies. She will teach you about the multifaceted world-wide uses of scent from India, China, the Middle East, Egypt, Greece, and Rome providing insight into how this art form has changed and progressed through the ages. 3. Tools & Raw Materials Module: An artist, of any sort, cannot do anything without their tools and supplies. Roxana will explain what basic tools and raw materials you will need before fashioning your own perfume. She will explain and define words such as “Pipette” and “Stirring Rod”, as well as why you need beakers, funnels, blotter strips and more. Also in this module you will learn about essential oils; absolutes; extracts and concretes; high proof alcohol and how to make tinctures, infusions and an enfleurage. 4. Fragrance Families & Types Module: In this module you will learn about the basic fragrance families and types of perfume. Roxana’s knowledge on this subject abounds, and she will provide you with the basics to better understand the scents you will be experiencing during this course and into the future. The language of perfumery is very complex and by the end of this module you will understand the difference between “fragrance families”, “types”, “descriptives” and “notes”. 5. Olfactory Awareness Module: In this module you will be exercising and building what Roxana refers to as olfactory awareness. This is something you can practice every single moment of your waking life, with every breath…and in turn it will help you develop mindfulness. Roxana will provide step-by-step instructions on how to dive deep into the wonders of your olfactory SUPER POWER, enabling you to experience scents rather than just learn about them. In this section of the course, you will be creating a notebook of what how you personally experience a scent and create from that authentic and individual resource. The process of experiencing scent without predetermined concepts, helps you create much more innovative fragrances. Your own distinctive sense of smell is your SUPER POWER, it will enable you to craft heavenly scents unlike any that have been made before. You will become empowered by your own experiences, and not be forced to conform to predetermined conceptions of scent. 6. Artistry Module: In this module Roxana shows you how there are many paths of learning and creating, sharing her experience of drawing from the right brain and circular thinking. Once you have learned the basic language of scent and how to categorize an aroma (Module 5), and then begin to tap into your own unique interpretation of scent (Module 6) we then move into personal artistry and aesthetics. 7. Orchestration Module: In this final module you will construct your own unique perfume using the basic top, middle, and base note structure with suggestions on how to make modifications based on supplied formulas. She will guide you on perfume concentrations, proportions of aromatic compounds and the different carriers; and what the different types of carriers mean for the end result of the scent. We also delve deep into Alchemy and how the seven processes relates to creating botanical perfume. In the final lessons of this module you will orchestrate your distinctive perfume and with all the knowledge gained in this course share your new gifts with the world. Looking forward to the re-launch of online courses!